Join Georiga Southern's physical therapy students as they host a 5K/10K race on Georgia Southern University Armstrong Campus. The race route begins in front of the Student Union by the fountain and covers the campus. Participants will receive a free donut after the races finish. Prizes will be awarded to top finishers in each category and partipants will receive a race t-shirt and swag bag with entry. Participants are encouraged to dress up and/or sign up with a team. Start time for both races is 8 a.m. with an expo of the sponsors to follow. 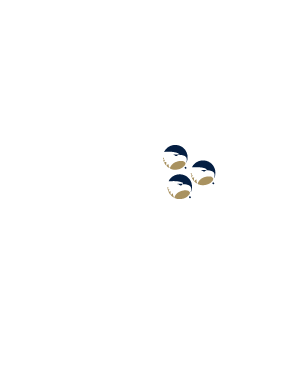 Race packets can be picked up from the Armstrong Center on March 29, 2019, from 3-7 p.m. or from 6:30-7:30 a.m. outside the Student Union the morning of the race. 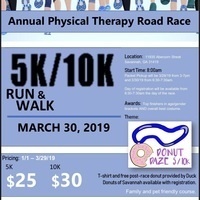 Register for the event at https://runsignup.com/Race/GA/Savannah/DonutDazeGeorgiaSouthernPTRoadRace2019. For more information contact Katie Cawley, race coordinator, at georgiasouthernptroadrace@gmail.com.